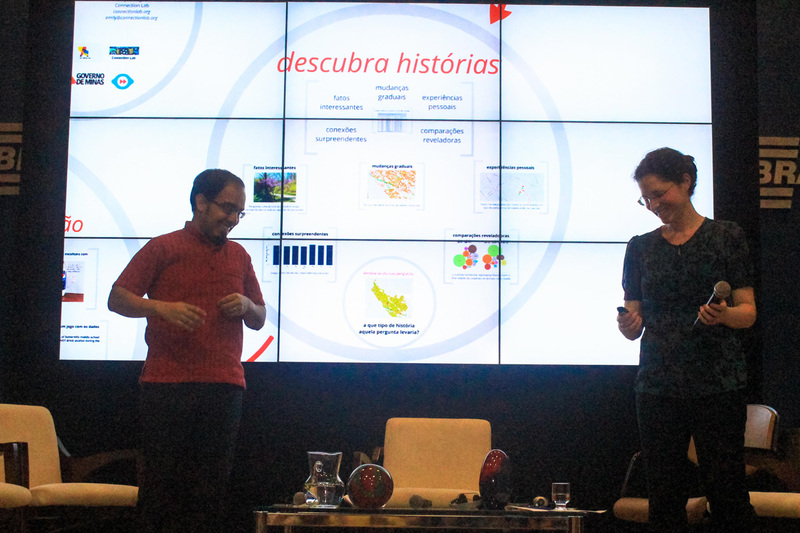 Data Therapy is usually about small hands-on workshops, but the “Storytelling with Data” workshop we scheduled in Belo Horizonte had 700 people sign up! This event is part of a series of “Conecta” lectures the government has been hosting with guests from the MIT Media Lab. Since the signups were so strong, we scrambled to find a larger venue and turned it into a lecture! Clearly there is a a need to to start conversations and build community around the idea of data-driven storytelling. I’m not a huge fan of the lecture format – it sort of makes you feel more important than you really are. 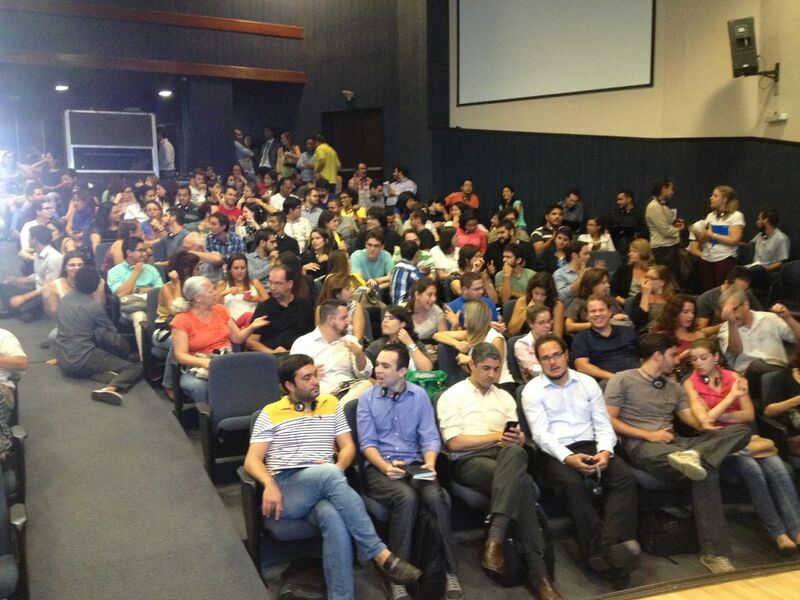 One of our key goals was to improve connections within the community in Belo interested in this topic. It turned out the short pair-and-shares that we did after each section of the talk worked super-well for this… so well that we had a hard time bringing people back after each! In addition, people responded well to the you, your organization, your community framing we laid out. It let folks that weren’t specifically focused on empowerment still connect to the content. Movimento Minas wrote up some notes and linked to the presentation in Portuguese. Raquel Carmargo also posted some pictures on Facebook.